According to Jain, the company currently has a 700-dealer strong distribution network, and plans to expand it two fold in the next three quarters. To this end the company has been aggressively appointing dealers and distributors. “We are complementing our aggressive expansion strategy by running brand campaigns involving national electronic and print media,” said Jain. The campaign is currently targeting businessmen in Haryana, Punjab and Delhi. “The channel partners need to be selected on a broad range of criteria, including their experience in the industry, reputation in the market, ﬁnancial capabilities to purchase stock, and the reach they have,” shared Jain. 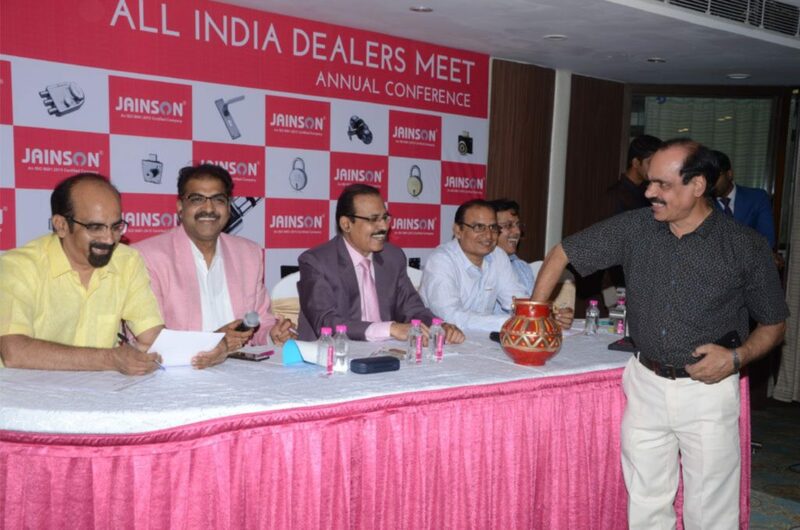 He said that as a policy the company believes in serving its dealers as its primary customers, and therefore, offers a wide range of beneﬁts to keep them in a win-win position. “For us, our business partners are our first customers,” he said. Along with healthy trade margins in the range of 15-25%, Jainson constantly supports its business partners with sales incentives, regular visits by relationship managers, and promotional assistance, so as to help them effectively market the brand. In order to increase channel sales, the company is focusing on bringing novelty to the market. For the same reason, Jainson has set up a completely new division which is focussed on developing new products that meet the ever changing needs of customers, and provide solutions accordingly. With a wide range of categories of locks including padlocks, internal door locks, mortice handles, furniture and shutter locks, Jainson has ventured into the electronic space as well. From a starting range of electrical locks that can be operated via video door phones, the company has introduced locks that can also be operated via mobile phones, passcode, and ﬁngerprints.